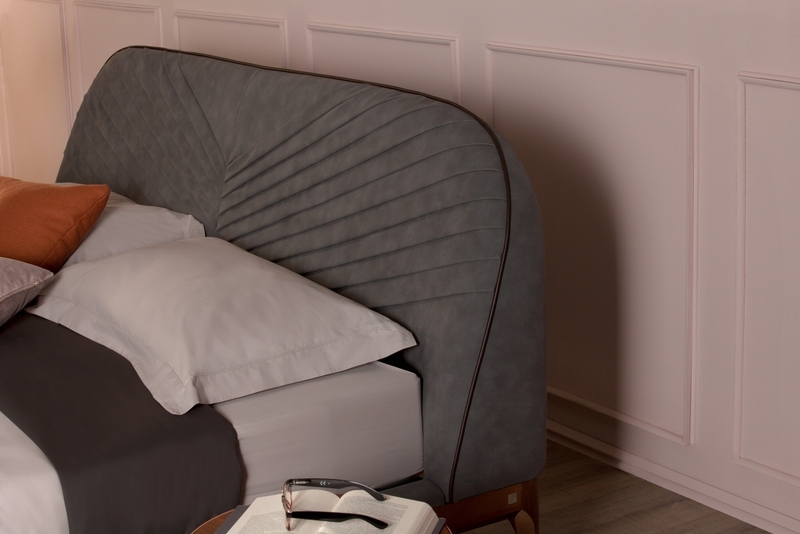 The headboard is wonderful, like a pleated fan, a perfect handmade working, this is Michelangelo, the double bed from the Tonin Casa collection. Michelangelo has a wooden structure with feet, and the coating is made available in all of the leather options. 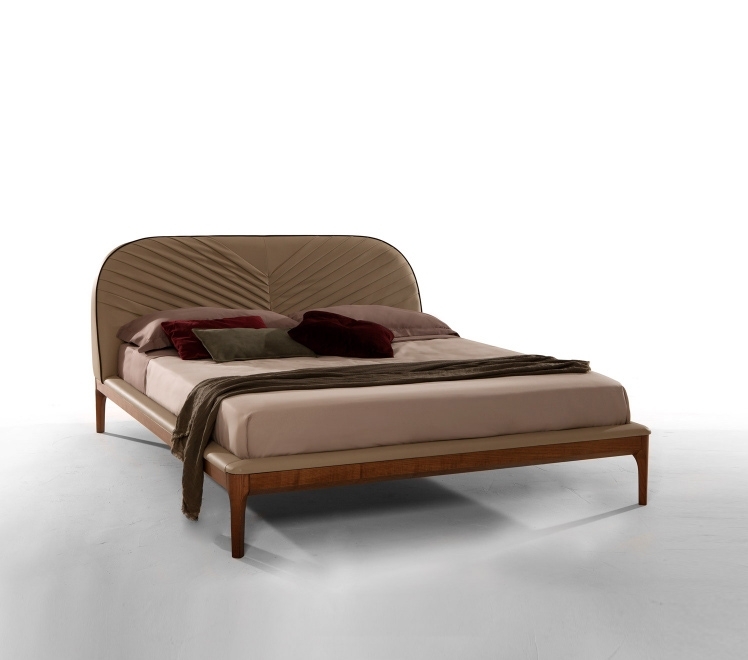 The Michelangelo bed, a furniture complement signed by Tonin.